Tan Of Nature is now available as a trio! Purchase the 3 Pack and Save! 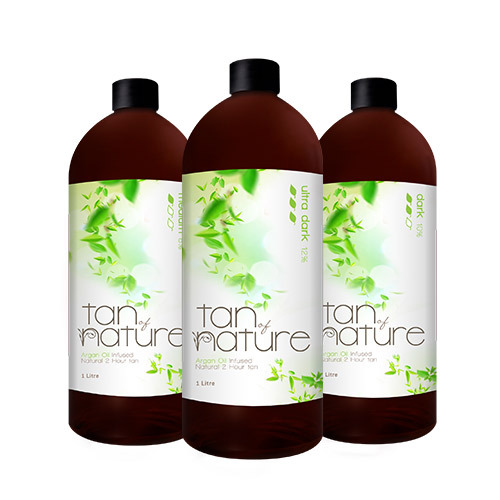 Tan of Nature is the healthy alternative to spray tanning. Infused with Argan oil that is full of vitamins, this distinctive formula will leave your body feeling soft and silky while invigorating the skin with the perfect golden tan. For tan longevity, all formulas are enriched with natural skin caring antioxidants and vitamins such as Aloe Vera, Avocado Oil, Coconut Oil and Kiwi Seed Oil for moisturised and hydrated skin. Results: The (Dihydroxyacetone) DHA (active ingredient, derived from glycerin, that interacts with the amino acids in the skin cells producing a colour change) will begin to activate within 2-4 hours after application, replacing any cosmetic bronzers as they wash off.